November is Pet Health Awareness Month, so this month Banning Veterinary Hospital is kicking off a Pet Health Awareness Series! In our upcoming articles, we will feature a specific pet species, discuss some common health problems within that species and what to be on the lookout for regarding each health problem. We will also talk about preventative care for each health issue so you know how to keep your pet healthy. We all love our sweet and playful cats. But, being a cat owner is more than just cuddles and snuggles. Cats, like all living creatures, may suffer from a variety of ailments. Cats are prone to weight problems, vomiting and urinary tract infections. These are only a few of the problems to which cats are prone. Stay tuned for our upcoming special article dedicated to cat health. Dogs – our loving companions – need lots of attention and care. To ensure that your furry friend lives a happy and fruitful life, please give your dog plenty of tender loving care and regular visits to Banning Veterinary. Dogs are prone to arthritis and ear infections, among other things. We will soon be publishing an article that specifically addresses health issues common to dogs. Although our beloved pet rodent may only have a lifespan of 3-4 years, they still deserve to live a happy life. Due to their size and bashfulness, rodents are difficult to treat medically, which makes preventive care of the utmost importance. Rodents are prone to respiratory problems and growths, such as lumps and tumors. Please read our upcoming article in which we discuss common health problems to which rodents are prone. 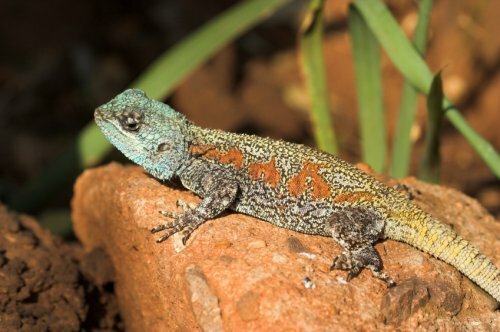 Despite reptiles’ reputation for being resilient creatures, they too have many common health issues. The health problems sustained by our cold-blooded companions are usually related to poor care and diet. So, be sure to regularly clean their living space and feed them a healthy diet. Common health problems associated with reptiles are bone disease and mouthrot. Our upcoming article on health concerns for reptiles will address these – and other – issues. Lastly, we have our large animals – horses, cows, llamas and alpacas. These beautiful creatures need plenty of attention and care. Horses spend a lot of time standing. Thus, they’re prone to leg and feet issues, and abnormal gait. Cows are susceptible to pinkeye and parasitic invasions. Llamas and alpacas may suffer from gastrointestinal and respiratory ailments. These are only a few of the common health problems to which large animals are prone. We will be dedicating a special article concerning common health problems of large animals. Banning Veterinary Hospital is a full-service veterinary medical facility that serves the communities of Beaumont, Banning, Cabazon, Cherry Valley, Poppet Flats, Idyllwild, Calimesa, Yucaipa, White Water, and all desert cities. Our clients’ pets are part of their families and we pride ourselves on treating each animal with love, care, respect, and of course, superior medical care. Banning Veterinary Hospital gladly accepts both appointments and walk-ins for urgent issues. Request your appointment on our website today! The hospital is open for appointments Monday through Friday, from 8 a.m. to 12 p.m. and 2 p.m. to 5 p.m. We are open on Saturday from 8 a.m. to 12 p.m. Banning Veterinary also has Urgent Care hours from 5 p.m. to 11 p.m., Monday through Friday.